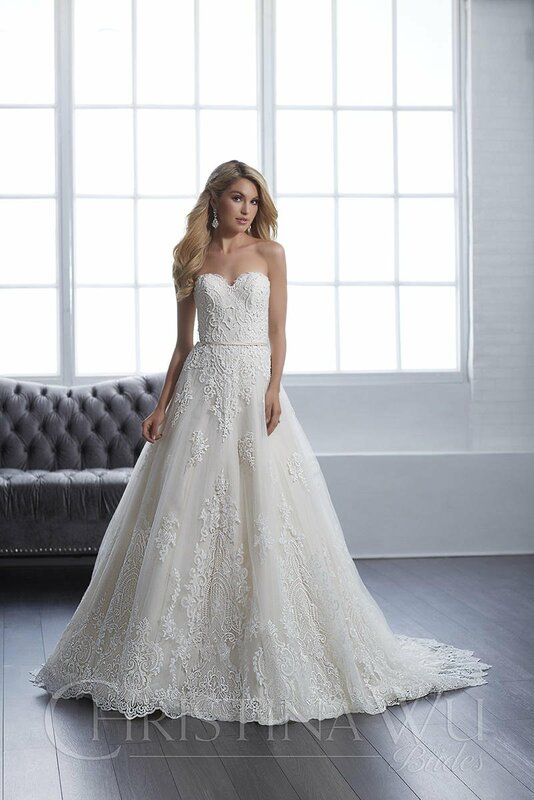 This strapless, sweetheart ballgown features show stopping lace that trails from the neckline to the hem. The lace has intricate beading that is all over the bodice and trails into the skirt. Buttons cover the zipper while a thin satin belt wraps about the waist.